LAKE FOREST, Ill. – The BMW Championship is the penultimate event in the PGA TOUR’s FedExCup Playoffs, with the top 70 PGA TOUR players competing for an $8.75 million purse, including $1.575 million for the winner. Past champions include Dustin Johnson, Jason Day, Rory McIlroy, Zach Johnson, Justin Rose and Tiger Woods. 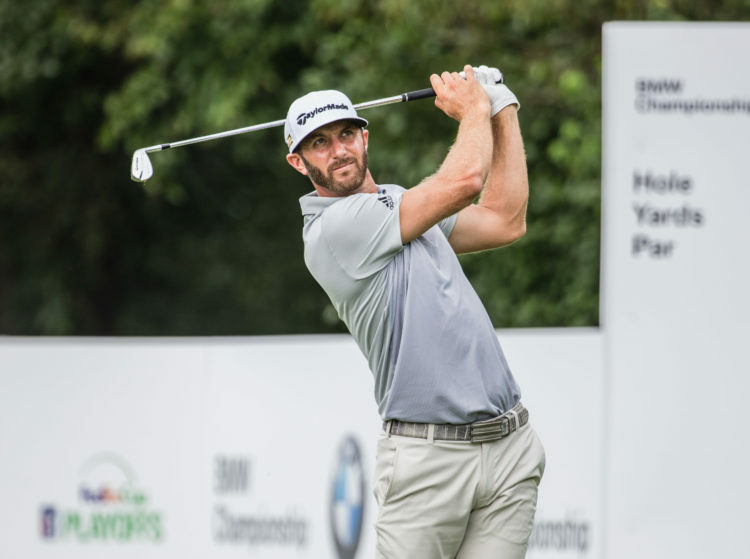 Dustin Johnson, the world’s top-ranked golfer and winner of the 2016 BMW Championship, will defend his title Sept. 12-17 at Conway Farms Golf Club against a field of the world’s best golfers, including 2017 Open champion Jordan Spieth and 2015 BMW Championship winner Jason Day. Also expected to compete are 2017 PGA Championship winner Justin Thomas, 2017 U.S. Open winner Brooks Koepka, 2017 Masters champion Sergio Garcia and 22-year-old Spanish phenom Jon Rahm. All net proceeds from the BMW Championship benefit the Evans Scholars Foundation, which provides full tuition and housing scholarships to deserving young caddies. Since the inception of the BMW Championship in 2007, more than $24.4 million has been raised in support of this great charity. When patrons arrive at Conway Farms for the 2017 BMW Championship, they will experience the drama, action and excitement of the PGA TOUR’s FedExCup Playoffs in a fun-filled, fan-friendly environment. A first-ever Topgolf interactive experience, a Bavarian-themed Biergarten and new reserved seating on the 18th green are among the many features patrons can look forward during the tournament. For the first time ever, patrons have the opportunity to purchase their own seat in a reserved section of grandstand behind the finishing hole at Conway Farms, providing a unique opportunity to experience the excitement of the 2017 BMW Championship up close. Only 120 Greenside tickets are being sold for each round of the event, and there are a limited number of tickets still available for Thursday-Saturday. Preferred pricing is now available for patrons who purchase their tickets in advance of BMW Championship week. A limited number of tickets will be available at the gate at an increase of $15 per ticket. To learn more or to purchase tickets in advance, visit www.bmwchampionship.com. General admission parking for the 2017 BMW Championship will again be complimentary for all spectators. Spectators will park at Six Flags Great America, located at 1 Great America Parkway, Gurnee, IL. Spectators will use the north entrance to the park on Grand Avenue (IL-132). Complimentary shuttle service will be provided to and from Conway Farms. A designated drop-off/pick-up area will be located at 911 Telegraph Road, Lake Forest, IL. From the drop-off/pick-up location, spectators will be shuttled to the BMW Championship entrance less than half a mile away. Patrons traveling by bicycle or on foot can enter the Conway Farms community at the corner of Everett Road and Conway Farms Drive, and proceed north on the sidewalk to 425 Conway Farms Drive, Lake Forest, IL. BMW Owners receive many exclusive benefits during the 2017 BMW Championship including special ticket offers, promotions, private parking and personal concierge service at the event. BMW Owners’ Parking- There will be a BMW Owners’ Parking Lot located at Six Flags Great America, with complimentary shuttle services to/from the tournament’s Main Entrance. BMW Owners must register at bmwchampionship.com for a parking pass to gain access to the lot. Day-specific parking passes will be emailed to all registered BMW Owners, along with a map and directions to the BMW Owners’ Lot. BMW Owners must present this parking pass in their BMW vehicles to gain access to the BMW Owners’ Lot. BMW Owners’ Pavilion – A BMW key unlocks the best that the BMW Championship has to offer. Located between the 17th tee and 18th green, the venue offers luxury grandstand seating with spectacular views of the course to watch the top players in the world compete as well as open-air seating, air-conditioning, flat-screen TVs and enhanced food and beverage options. BMW owners and a guest can access the BMW Owners’ Pavilion by simply showing their BMW key. The BMW Experience features BMW’s newest vehicles and a variety of fun activities and contests. Located adjacent to the driving range, visitors will see a line-up of some of BMW’s most exciting vehicles including the all-new BMW M760i, BMW X3 and a closed room sneak peek at the BMW i8 Roadster. In addition, for the first-time ever at a PGA TOUR event, patrons will have the opportunity to participate in the BMW Fan Challenge powered by Topgolf Crush. Patrons will have the chance to compete in a 5-ball challenge, using Toptracer ball-tracking technology, by hitting golf balls at large targets located in the driving range. Participants will accumulate points and compete against scores of the Pros for great prizes, including a VIP trip to the 2018 BMW Championship. The BMW X3 Hole-In-One Competition will give visitors the opportunity to take a swing for a chance to win an all-new 2018 BMW X3. Located on the 2nd floor of the BMW Fan Challenge powered by Topgolf Crush, not only will patrons have the chance to win the keys to an all-new BMW X3 if they score an ace, but they will also have the opportunity to beat the Pros for daily prizes. Also, all patrons will have the opportunity to sink a 60-foot putt at the BMW Putting Challenge to help support the Evans Scholars Foundation. Those who successfully make the putt will be entered to win a trip to the BMW Performance Center in Thermal, CA..
To celebrate BMW’s German roots and the start of Oktoberfest, the 2017 BMW Championship will feature a Bavarian-themed Biergarten located between the back of the main clubhouse and the first tee, providing an area for spectators to relax and enjoy a beverage without missing any of the action. With a large video board showing live tournament coverage, you can take a break and enjoy popular local German delicacies and refreshments while enjoying the competition of the BMW Championship. The BMW Championship dates back to 1899 when it debuted as the Western Open, making it the third-oldest tournament on the PGA TOUR schedule, behind only the British Open and U.S. Open. BMW has sponsored the tournament since 2007 when it became the penultimate event of the PGA TOUR’s FedExCup Playoffs. The BMW Championship features a field of 70 players to determine the final 30 players for the FedExCup finale at the TOUR Championship in Atlanta. All net proceeds from the BMW Championship benefit the Evans Scholars Foundation, which grants full college scholarships to deserving young caddies. Since BMW became title sponsor in 2007, the tournament has contributed more than $24.4 million to the Evans Scholars Foundation. The Western Golf Association conducts three national golf championships and sponsors the nationally acclaimed Evans Scholars Foundation. Headquartered in Golf, Illinois, the organization was founded in 1899 by 11 Chicago-area golf clubs to promote their interests in golf. In addition to the BMW Championship, the WGA conducts two prestigious amateur championships, the Western Amateur and the Western Junior. The WGA champions education through golf by supporting the Evans Scholars Program, the sole charitable beneficiary of the BMW Championship. Established by the WGA and famed amateur golfer Charles “Chick” Evans Jr., the program provides full housing and tuition scholarships to deserving caddies across the country. In the 2017-2018 academic year, 965 caddies will be attending 19 major universities on Evans Scholarships, and there are more than 10,600 Evans Alumni. The WGA’s Board of Governors has set a goal of having 1,000 Evans Scholars enrolled in college annually by 2020. In addition to BMW Championship proceeds, the Evans Program is funded by contributions from more than 30,000 donors across the country, including many Evans Alumni.